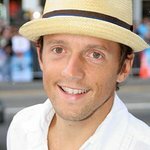 The Surf Industry Manufacturers Association (SIMA) Humanitarian Fund is proud to announce Jason Mraz will be honored as the 2010 Humanitarian of the Year at Liquid Nation Ball 7, the official fundraiser for the SIMA Humanitarian Fund, on Saturday, August 14, in La Jolla, California. 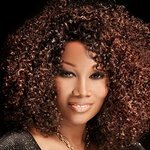 The two time Grammy award winner is known for his selfless dedication to charitable causes, and is an avid supporter of Life Rolls On, an organization that utilizes surfing to improve the quality of life of young people affected by spinal cord injury. Mraz has dedicated himself to promoting Life Rolls On by garnering public support, serving as an honorary chairman for their events, and performing benefit concerts. In addition to his efforts for Life Rolls On, Mraz’s humanitarian work also extends to groups such as the Save The Music Foundation, MusiCares, Free The Children, as well as his hometown arts program, SPARC. Liquid Nation Ball 7 will be held on August 14, 2010, beginning at 7:30 p.m. at the ocean-front home of Fernando Aguerre in La Jolla, where one of the best private surfboard collections in the world is on display. The event includes dancing, live music, great food, open bar, and short live auction of unique, one-of-a-kind items to benefit 13 surf-related humanitarian organizations. Since 2004, Liquid Nation Ball has donated more than $1.25 million to surf-related, non-profit humanitarian organizations. All proceeds from Liquid Nation Ball 7 will benefit 13 surf-related social and humanitarian non-profit organizations selected by the SIMA Humanitarian Fund Board of Directors for their efforts focusing on improving the quality of life, health and/or welfare of people. The 2010 Liquid Nation Ball beneficiaries include Keep-a-Breast, Boarding for Breast Cancer, Surfer’s Healing, Jimmy Miller Foundation, AccesSurf Hawaii, Mauli Ola Foundation, Best Day Foundation, Outdoor Outreach, Stoked Mentoring, Life Rolls On, Project Wipeout, SurfAid International and the Sumba Foundation. For more information visit LiquidNation.com. Tickets will be on sale in late June.